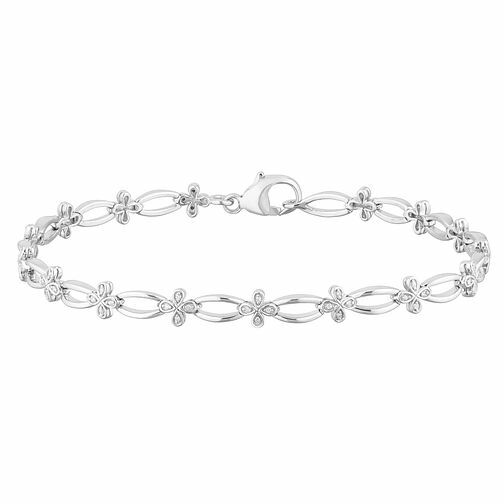 Simple and charming, this sterling silver bracelet features delicate diamond stones. Its endearing tiny loops with alternating flowers is delightful and brought together by an easy to do up clasp. Simple and charming sterling silver bracelet. Sterling Silver Diamond Bracelet is rated 5.0 out of 5 by 1.